Bae goal! This is nothing butta bae goal!!! 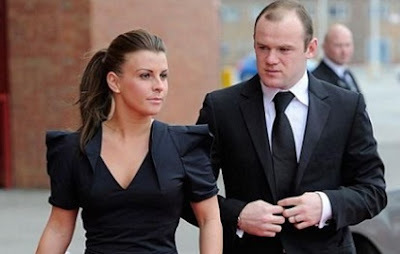 Wayne Rooney has reportedly bought Coleen a £5million villa in Portugal in a bid to win her back following his drink-driving scandal. Everton Striker Wayne hit the headlines when he was caught over the legal limit behind the wheel of 'party girl' Laura Simpson's car earlier this month. A source has now revealed to Closer magazine that the shamed 31-year-old footballer is doing whatever it takes to regain his wife's trust - even buying her a luxury pad abroad. The insider said: "Coleen wishes she could forget about the past - but she knows from experience [...] that the latest incident will be constantly dredged up. "Wayne is begging her every day to give him another chance and has bought the family a new home in Portugal, but right now Coleen doesn't feel ready to discuss the future," the source added. Mum-of-three Coleen, who has reportedly enjoyed ten holidays already this year, was in Majorca when she heard news of Wayne being pulled over by police in the early hours of September 1. Take your man back woman, will you? LOL.